: Fraud prevention - real-time pushes to device to approve transactions : Item-by-item list per transaction - being able to list out not only the purchase amount, but also what exactly a consumer bought from each vendor is a huge breakthrough in the financial industry. It opens doors to a whole new level of user data for advertisers, consumer behavior data for vendors, and purchase data for consumer budgeting. 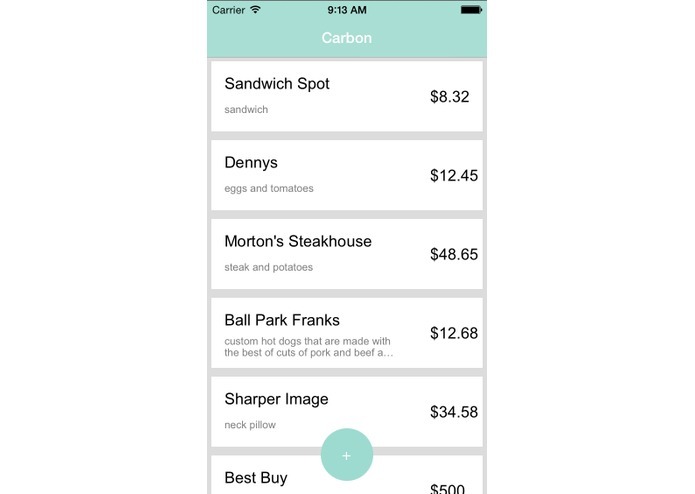 : Instant expense reporting - employees will never have to save paper receipts ever again and never have to file an expense report ever again.